Travelling from Dorchester follow the A354 around the outskirts of Blandford. 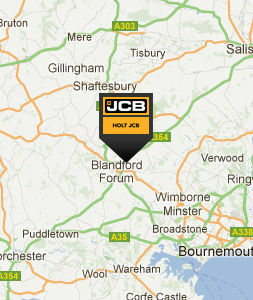 You will reach a roundabout from which Blandford Heights Industrial Estate is signposted. 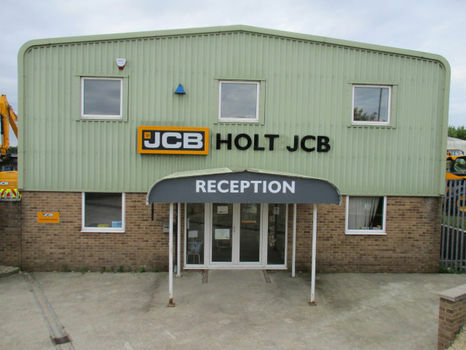 Take this exit, turn right at Travis Perkins, take the next left and Holt JCB can be found on the right-hand side.